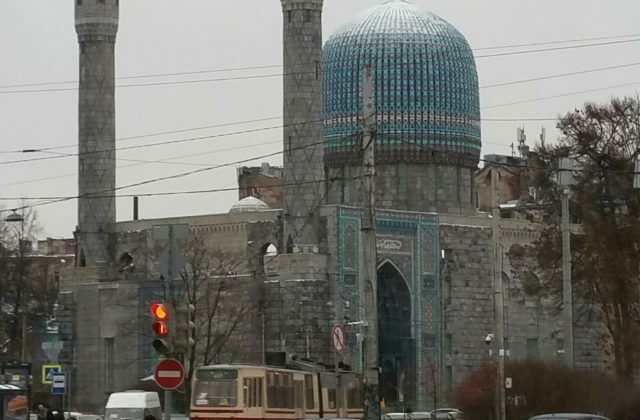 Dr. Welmoet Boender and Dr. Vladimir Bobrovnikov, both at NIAS, have just returned from a conference in Russia where they discussed how (immigrant) Muslim communities visibly and invisibly represent themselves in contemporary cities. “How to comprehensively study contemporary Islam in the urban Russian contexts? What social and humanitarian disciplines, research concepts and methods are relevant in this respect? That was the main topic of the interdisciplinary international seminar on Urban Islam in Russia organized by professors Alfrid Bustanov and Sergei Abashin from the European University of Saint Petersburg on 14 December 2017. NIAS Fellows Vladimir Bobrovnikov and Welmoet Boender were invited as speakers to bring in an interdisciplinary perspective, based on anthropology, Islamic Studies and history. Both in Russia and in Western Europe, urban ‘super-diversity’ produces social spaces in which new visual (and virtual) forms of Islam appear. How do (immigrant) Muslim communities visibly and invisibly represent themselves in these changing urban contexts, and how are they being perceived by a –not seldom hostile- environment? During the one-day seminar, three main forms of Muslim public presence in urban contexts were discussed. One of the mosques in Saint Petersburg. Photograph by Welmoet Boender. The second topic was about new networks of ritual and economic practices allowing Muslims to communicate in the city. 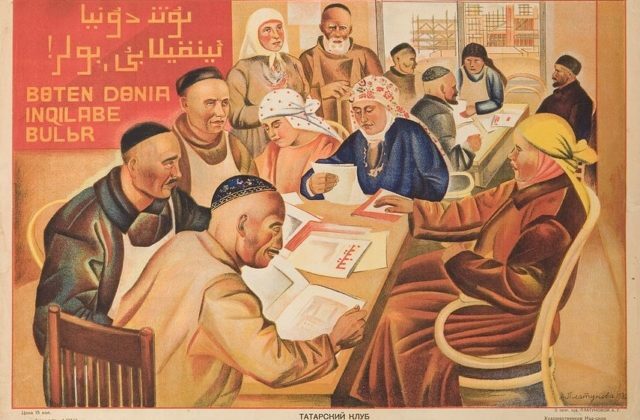 The focus was made on emerging post-socialist (and post-colonial) Islamic economics including the commodification of halal goods, in which keen marketing can tap a huge market potential (Ekaterina Kapustina, Vladimir Bobrovnikov). Whereas this commodification is visible in streets and shops, varying from halal food, halal hairdressers and halal cafes, to Muslim mass media, it also occupies a remarkable ‘parallel’ virtual space. One prominent example is the digital platform HalalGuide.me, which is used by millions of Russian Muslims, mostly in central Russia and the Volga-Ural region, who thus connect the online and offline world. They walk synchronously in a ‘parallel’ virtual city-space that is directly connected to the physical city in which they live, work and recreate (Ilshat Saetov). Discussion of these presentations showed that Islamic cyber-space in Russia is more fragmented and diverse than one can imagine after Islamic Runet. For instance, Dagestani and Chechen Muslims prefer local WhatsApp facilities instead of halal cyber resources of the Tatar origin, especially when they are in their home republics. Thirdly, the 20 participants discussed other appearances of Muslim presence in urban spaces, such as religious healing practices of Central Asian mullahs in Moscow (Dimitri Oparin), and the local impact of Muslim charity organizations as part of a local ‘moral economy’ (Danis Garaev). In addition, reaction of non-Muslim urban milieu to challenges of post-socialist (re-)Islamization was examined in the case of post-socialist Makhachkala (Vladimir Bobrovnikov). In this respect, recent history of the European and Third-World countries with the colonial past helps understanding what happens in post-socialist cities of Russia. Ex-colonies experienced similar movements appealing to religious revival after liberation from the colonial dominance, their governments used to legitimize themselves with the help of Islam and other religions. Forms of post-colonial Islam were diverse and hybrid, not so traditional as they claimed to be. Post-colonial globalization stimulated the spread of Islam in transnational urban space. Several generations of Muslim immigrants contributed to making urban Islam in the former colonial metropolises as their coreligionists from (ex-)Russian colonial borderlands did in big cities of Russia.